Celia is a person who values humans, art, and real connection. She loves that dance is a place you can tap into all of those things at once, and is happy to be sharing those things at NPB. Celia got her start dancing under the instruction of Donna Ranked, She went on to continue her training at The School of Ohio Dance Theatre under the Instruction of Denise Gula, Nancy Brunstahl, Janet Dziak, and Kyle Primous, where she performed alongside the professional company through adolescence. Celia Is a choreographer and teacher through out the North Eastern Ohio area, working in teaching and directional roles with organizations including, Harbor Town Fine Arts Center, Midview High School Drama Department, Dance Arts By Regina,and Olmsted Performing Arts. 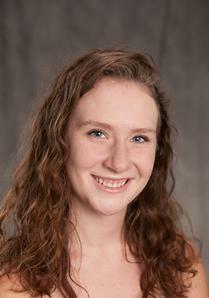 She has been spotted dancing around town in productions with ODT, The Cleveland Dance Project, and Neos Dance Theatre. Celia is also a freelance photographer who’s work can be spotted in some of NPB’s marketing material! favorite roles include, The Nutcracker Maid, Peter Pan’s Sea Queen, The Clumsy Stepsister In Cinderella, and Eurydice [redacted]. She wants to genuinly thank you all for supporting dance and art!